Last Post of 2008! For Real This Time!!! Lest you think that 2008 was totally in the toilet (see previous post), I thought I’d share a few more photos with you. I got a really great surprise today when I received a CD in the mail from Cecily (thanks, Cecily!!! 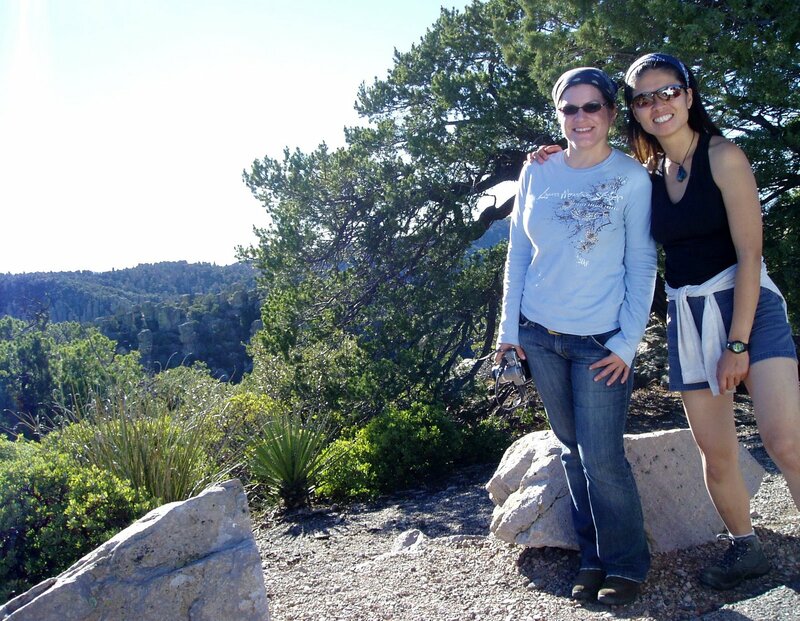 ), who compiled all the photos she took on our trip to the Chiricahuas over Thanksgiving. I’ll probably try to upload them to a Picasa web album sometime, but here are just a few of the photos that I thought were particularly funny or had incredible scenery. So happy new year, for real this time! Thanksgiving dinner at a truck stop – bad pizza and rootbeer floats! So this is what I look like first thing in the morning? I’d just crawled out of the tent after our first night backpacking in the wilderness area; yes, that’s ice in my hair. One of the many spectacular views of the Chiricahua wilderness; this was just before we somehow managed to get ourselves off-trail. I wish I knew how to use the self-timer on *my* camera! You can’t see it in the photo (how clever…), but Cecily’s ankle is totally jacked up! At this point, we were enjoying the views at the Chiricahua National Monument, which were accessible a short distance from the car. « Last Post of 2008!